Castle Comfort Stairlifts offers top brand stairlifts, keen prices and fast installs for all those seeking stairlifts in Slough, Berkshire . And all work comes with our no-quibble guarantees and famous customer service satisfaction. Slough In Berkshire is well and truly back on the map thanks to Ricky Gervais and Stephen Merchant’s sitcom mockumentary The Office, which first aired in 2001. The series followed the mundane day-to-day workings of a typical office and its employees based in Slough. Gervais played the central character - self-important Manager David Brent – who was forever committing social faux pas. Gervais and Merchant have successfully sold the series to over 80 countries including America. Gervais was born in another Berkshire town, Reading. If you’re struggling to do the ‘David Brent dance’ or get up the stairs, Castle Comfort Stair Lifts are here to help. We are the national agents for all stairlift manufacturers and can advise you on the best lift at the best stairlifts prices for you. We have a range of straight, curved and perch stairlifts and also reconditioned ones. Why not give us a call on 01865 477 004 for more information. Slough is currently a borough of Royal Berkshire but at one time was part of Buckinghamshire and Middlesex. Slough is first seen in old documents referred to as Slo in 1196, then Sloo in 1336 and Le Slowe, Slowe or Slow in 1437. The name Slough may have been derived from the Old English word Sloh meaning marshes which were prominent in the area at the time. By the 15th century Slough was already well known for brick making and Henry VI ordered bricks here to build Eton College near Windsor. It is one of the original 9 public schools in the UK. As well as bricks agriculture was the other big employer in the area. The Co’s Orange Pippin apple was first grown in a nursery nearby and ‘Mrs Sinkins Pink’, a variety of Dianthus (carnation) was cultivated here in the 18th century. 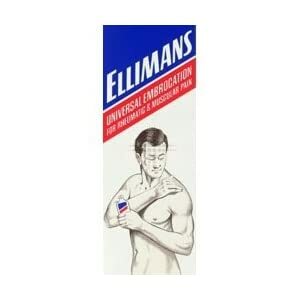 By the middle of the 18th century James Elliman who had draper’s shops in Slough, developed and manufactured his Elliman’s Embrocation to treat stiffness of the joints, aches, sprains and bruises alongside his Royal Embrocation horse liniment! Nowadays Slough still attracts some big business with companies like Centrica plc, GlaxoSmithKline, Yell, ICL, Electrolux, ICI Paints, Masterfoods (Mars), Citroen, Sara Lee, Yellow Pages and Amazon.com (UK) based there. Slough’s proximity to the Old London Road – now the A4 – which connected Bath to London helped it develop from a humble village into the town it is today with a population of 119,070. Of this number 23,099 are retired and as many as 600 either have or need stairlifts. If you’re one of the 600 and you need more than Elliman’s Embrocation, Castle Comfort Stair Lifts can help you solve one problem, how to get up and down stairs. Take a look at our founder Keith’s video to learn more about us and about stairlifts generally and check out our online comparisons so that you can get a feel for the one you would like. After that it’s a simple call to our regional office for advice. Once you have made your decision and it’s all done and dusted, we can install a stairlift in your home in as little as one hour and at most half a day. Give us a call on 01865 477 004 now! As well as being ridiculed in The Office, Slough has also received bad press through a poem entitled Slough written by the poet John Betjeman in 1937. The poem was a protest to the industrialisation of the formerly rural area. However on the centenary of his death his daughter gave the Mayor of Slough David MacIsaac a book of her father’s poems by way of apology. Written inside were the words ‘We love Slough’ and she said her father had regretted writing the poem. The novelist John King’s fourth novel called Human Punk is said to be his most autobiographical and is set in Slough. It is part of a trilogy called the Satellite Cycle which includes his other novels White Trash and Skinheads. His first novel The Football Factory has sold over 250,000 copies in the UK and went on to become a film starring Danny Dyer in 2004. Ok so now you’ve read all about Slough in our short ‘visit’, it’s time to call Castle Comfort Stair Lifts on 01865 477 004. Don’t forget to use our £50 voucher and if you need more help with funding your purchase, then check out our reconditioned stairlifts. Remember that curved stairlifts will always be more expensive because they are built especially for you. Also take a look at the possible grants you can get and 0% finance. Castle Comfort Stair Lifts look forward to hearing from you. Do people have computers in Slough? 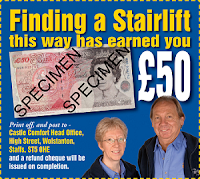 you wont need Ellimans Embrocation anymore, once you buy a Stairlift from Castle Comfort. Didn't know that Gerry Anderson came from Slough- I should think that Scott, Alan and Virgil will all need a Stairlift to get into their cockpit by now!